New York is a magical place to spend the holiday season. The great news is that you don’t have to wait for Christmas Day or New Year’s Eve to enjoy the celebrations. Take a look at the top events and experiences that signal the beginning of the holidays in New York. 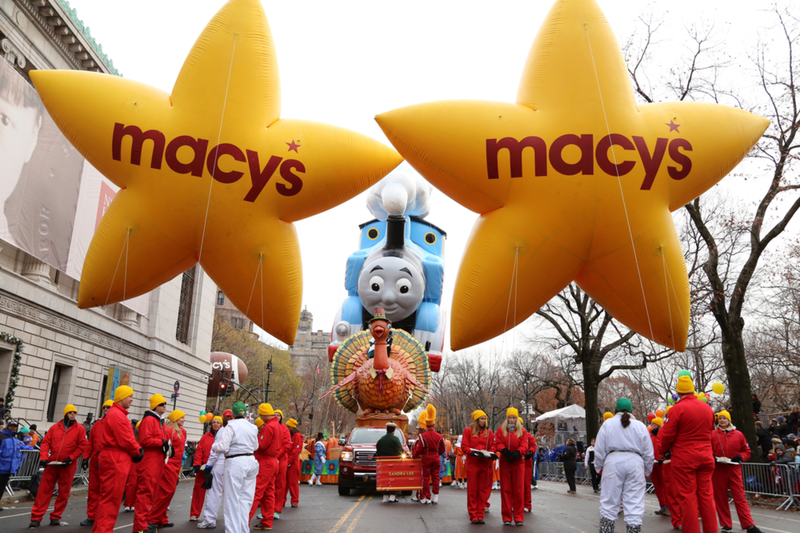 In New York City, the holidays arrive with the Macy’s Thanksgiving Day Parade. The tradition of holding a Christmas parade for Macy’s employees has evolved into a world-famous event that has delighted generations for almost 100 years. This year, the parade will take place on November 22, 2018. It will start at West 77th Street & Central Park West at 9am, continue along Central Park West — with amazing views —, Central Park South, 6th Avenue and ending at Macy’s Herald Square. The event is free and open to the public, but you need to arrive as early as 6-7am to find a good viewing spot. 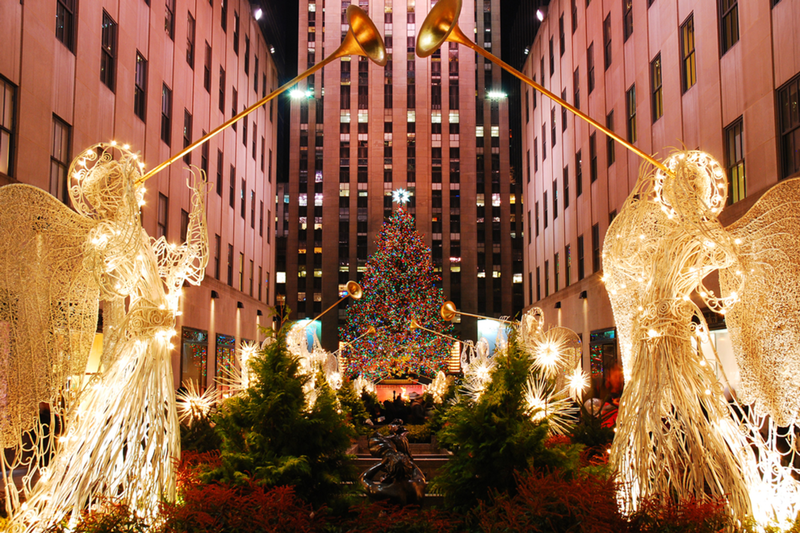 Another beloved holiday tradition in New York is the Rockefeller Center Christmas Tree Lighting. Who hasn’t seen images of the iconic tree towering over the equally famous ice skating rink? If you are in New York on November 28, 2018, head to Rockefeller Plaza (West 48th and 51st Streets and Fifth and Sixth Avenues) for the lighting ceremony. It includes live music and performances by the Radio City Rockettes, starting at 7pm. The tree will be lit at 9pm, but you have to arrive no later than 3pm if you want a good viewing spot. 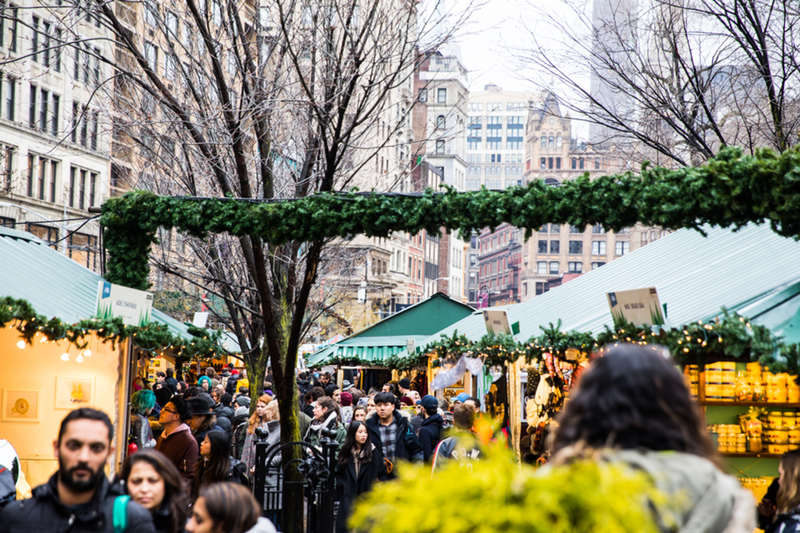 We’ve talked before about top markets in New York, but let’s expand on this season’s best holiday markets! The Winter Village in Bryant Park is small, cozy and reminiscent of European markets. It surrounds the only free ice-skating rink in the city. You can find gourmet food, warm drinks, original artwork and Christmas decorations. Next on the list is the Columbus Circle Holiday Market, a famous and elegant market featuring local vendors. You’ll find everything from handmade jewelry, original artwork and designs to home decor, ornaments and seasonal food. If you need a break from the cold, a trip to Grand Central Terminal will take you to the Grand Central Holiday Fair — one of the best places in NYC to purchase lavish Christmas presents from carefully-selected vendors. The Holiday Train Show is just next door, so don’t forget to take a look. Last but not least, the Union Square Holiday Market is where you’ll come across vintage and extraordinary gifts. Whether it’s a quirky ornament or exclusive eats, this market caters to the eclectic who want something truly unique. The holiday season is upon us! 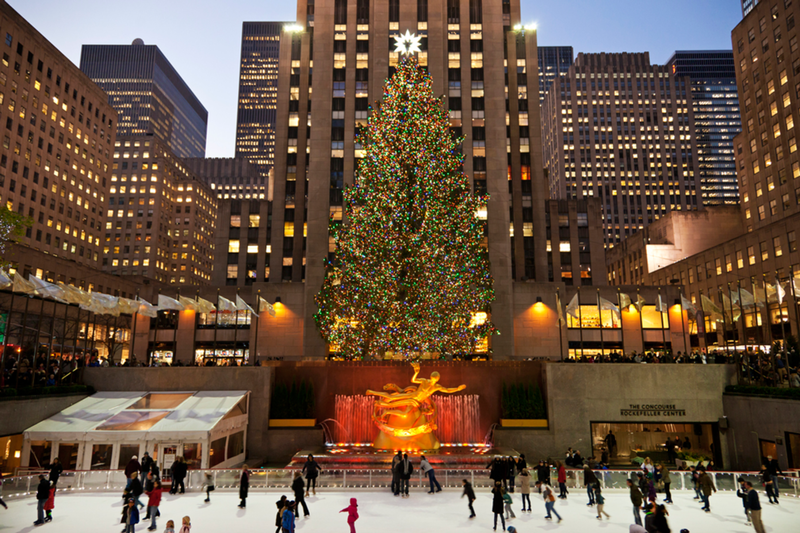 Book your Christmas vacation in New York and discover great ways to enjoy winter in NYC.